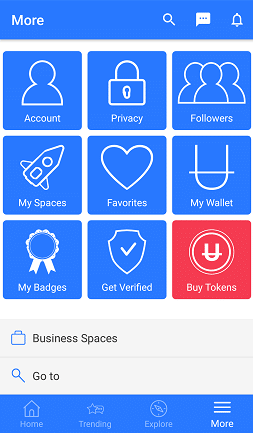 UHIVE | How can I purchase UHive Tokens? 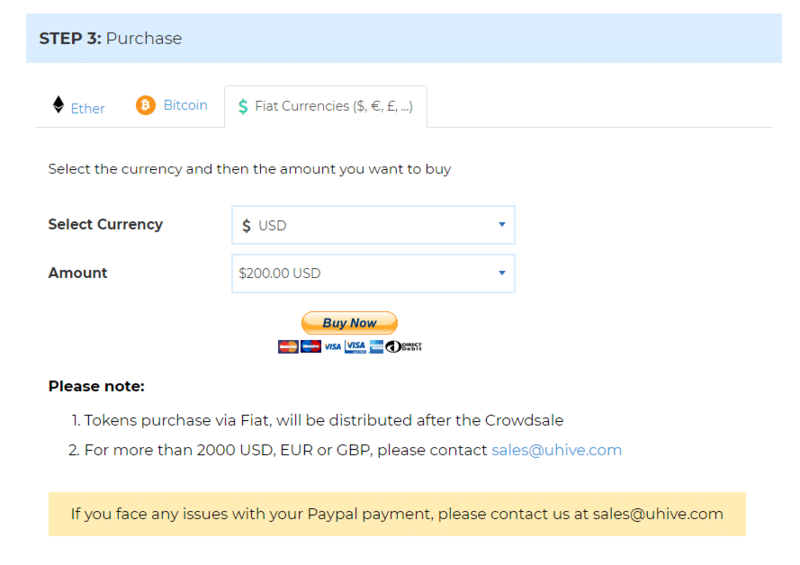 How can I purchase UHive Tokens? 2. Click on the More menu. 5. Click on Buy Tokens option. 5. Select the plan you wish to purchase. You have the option to select from the available payments to buy tokens, such as: ETH, Bitcoin, Fiat currencies (USD, EUR, Pounds and more). 1. 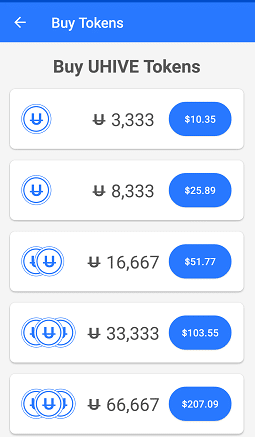 Sign into your UHive account, click here. Purchase using Fiat currencies ($, €, ￡): Refer to the Fiat currencies, ($, €, ￡) tab and follow the directed instructions. Purchase using Bitcoin: Click on the Bitcoin tab and follow the directed instructions. Purchase using Ether: Click on the Ether tab and follow the directed instructions. You should have one of the supported wallets to send your ETH to UHive. By clicking 'Sign up', you agree to receive UHive updates emails. © UHIVE Limited, 2019. All rights reserved. You are one step closer! Apple does not authorize Early Access Apps, however you can still reserve your space and be one of the first by simply filling out the form below.